Well, I went for a quick run this am, and by quick, I mean a half mile. I haven’t ran since the LSC Half Marathon on November 10 due to pain in my right knee. It felt ok but not great, but moving forward. We’ll see what the rest of the day holds in terms of the knee. 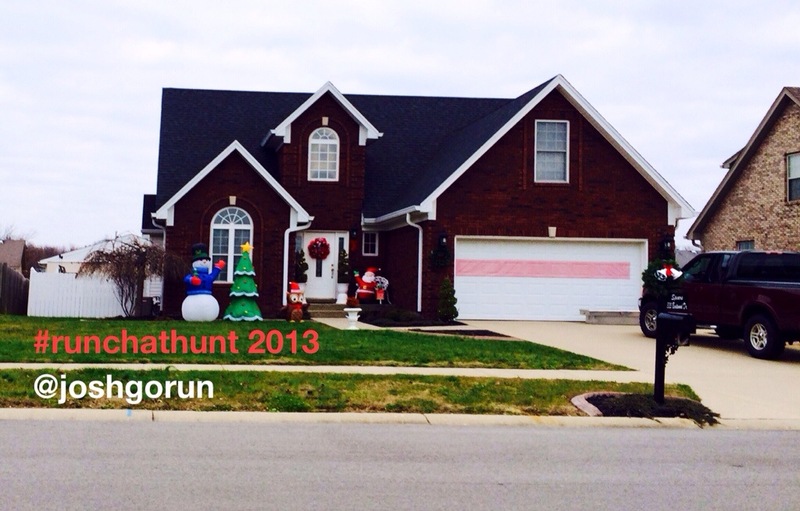 I did get part of my #runchathunt taken care of.